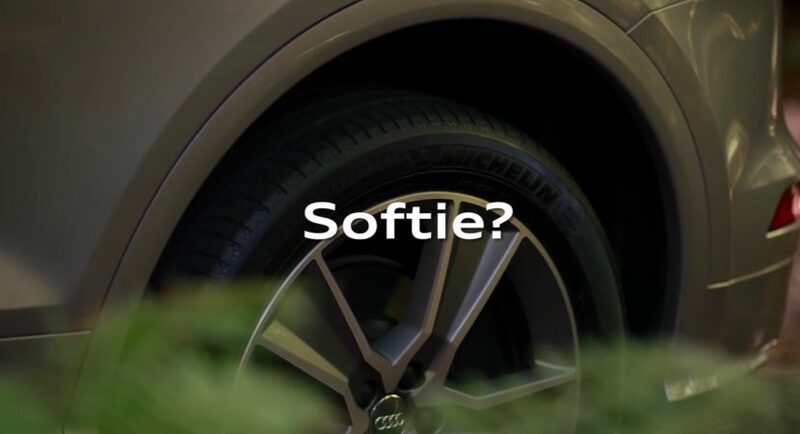 Here we are again with the third teaser video showcasing the air suspension system that the all-new 2017 Audi Q5 will be coming with, once announced at the Paris Motor Show. After seeing the all-new Q5 in previous teasers which announced the car`s high-tech lights and exquisite body styling, the model is popping up again in a new short teaser, which reveals the car`s air suspension and other impressive mechanics. This would be the carmaker`s aggressive marketing strategy, just ahead Paris, Audi wanting to make it pretty clear that the all-new Audi Q5 is going to be one of the most expected models from the entire lineup. General details with the all-new Audi Q5 are not new, the SUV now standing on the company`s new MLB Evo platform, meaning that it will be 100 kg lighter than the previous generation, and making room for more space inside and a wide array of engines, including a hybrid drivetrain. The new platform also increases the car`s performance, handling and driving dynamics, offering as already stated, more space inside for rear passengers. In terms of design, the 2017 Audi Q5 will come with the latest technological enhancements, along with design borrowings from the Q2 and the Q7, meaning advanced trimmings, LED headlights and so on. In the engine department, the new Q5 will come with a wide range of turbocharged petrol burners and diesels, including a 2.9-liter twin-turbo V6, borrowed from the Porsche Panamera. Once it will arrive on the market, the all-new 2017 Audi Q5 will stand against the Lexus NX, Mercedes-Benz GLC, Jaguar F-Pace or BMW X3.